Do you want to know which Legion is the most powerful in Eudemons? Do you want to know the power of your Ally Legions and Enemy Legions? 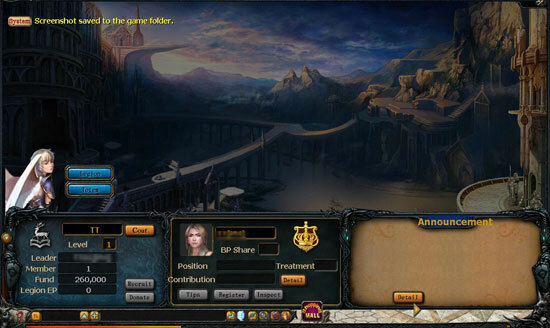 Now, you can click “Inspect” on the Legion interface to realize all this. 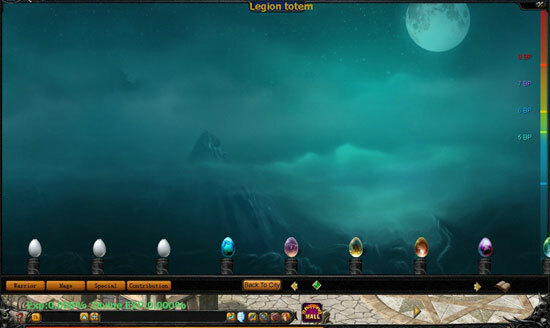 Type in the name of the Legion you want to inspect, and then spend 25 EPs to check the details of the Legion, including the Legion information, contribution and Legion Eudemon Totems. 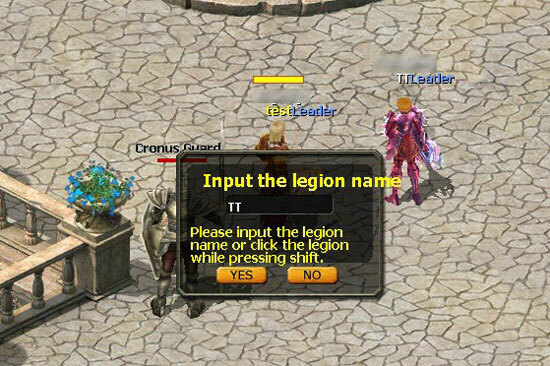 Tips: You can get the Legion name by shift + left click the player when you want to input the legion name. 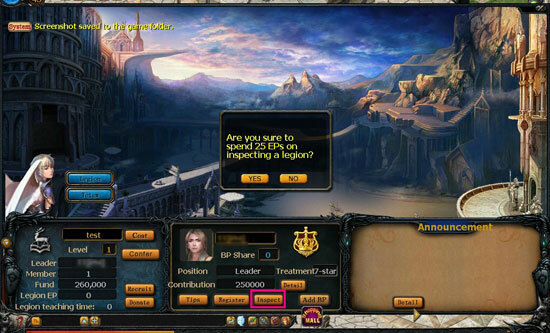 After you quit the Inspect, you must spend EPs again to check the details of the Legion.